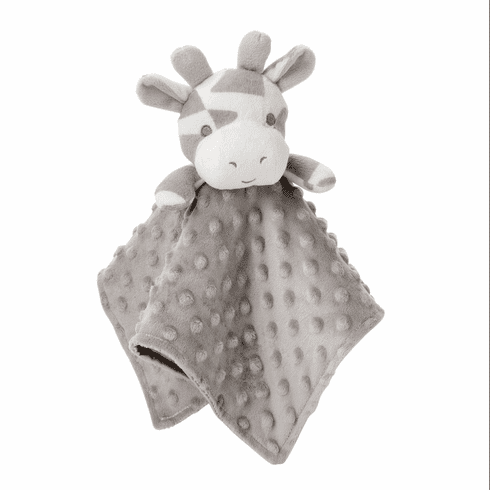 Gray Giraffe Minky Snuggle Blanket Personalized is a durable, fade-resistant and, lovable blanket! Your little one will adore curling up and cuddling with this Giraffe Minky Dot Security Blankie! And measuring at 12" x 12" , it's perfect for all babies who enjoy taking their blankie on-the-go! Personalization is available at no additional charge.